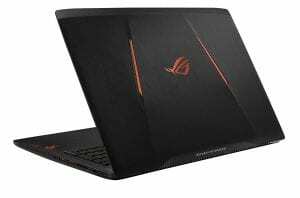 The top 5 affordable gaming laptops listed here are relatively cheaper than the expensive VR ready gaming laptops mentioned in the previous post. The laptops here have the new NVIDIA GeForce GTX 1060, which is way better than the Maxwell Architecture GPU’s and are perfect to power your laptops to work with the VR headsets. If you are fine with gameplay at 1080 HD display resolution then there is no reason that you should not consider these laptops. Moreover, while you have your VR headsets on, you would barely look at the screen. So having a GPU as powerful as the GTX 1060 is just enough for a gaming laptop to go with the PC VR headsets( Rift, Vive, and the PlayStation VR). This laptop is one of the best VR ready gaming laptops because of its features and price. This is a reasonably priced VR ready laptop. 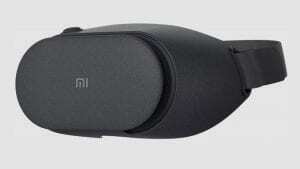 It has a 1080 pixels Matte display and the GPU here is powerful to let you play games on the high and ultra settings. 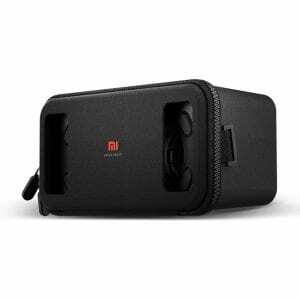 The best feature of this laptop is that it is VR compatible and it is very reasonably priced in comparison to the other VR ready laptops from other companies. The battery life can be a little below average but isn’t that the case in most of the gaming laptops? 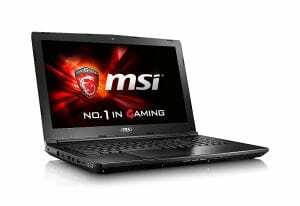 Most of the gaming laptops do not last for more than an hour under full load which implies high settings and max resolution gameplay. This is just another gaming laptop story which is no different from the rest. The laptop is light which makes it portable and the one with the 15.6-inch screen is a perfect choice if you want a gaming laptop that is travel-friendly. The laptop can get a little hot over too much usage so if you are wondering if the laptop is too good to be true then here is the minor setback. Although I find it something manageable, so if you really want a laptop which does not heat up quick during a gameplay then you need to look at the other options available. MSI has a lot of options when it comes to VR ready laptops but one of the interesting ones is the Apache Pro as it is light in weight and even relatively cheaper than most of the VR ready laptops. The laptop is around 5.5 pounds making it light and has a 1080HD display along with the GPU which is again the NVIDIA GeForce GTX 1060. This laptop is VR ready and has a pretty average battery life. Unlike the Asus laptop, it has a much better touchpad quality and the former has not that great speakers but this laptop has it all. 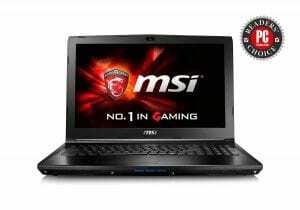 This laptop takes relatively longer to heat up and that is because of the attention which was given by the makers at MSI to improve the cooling system of the laptop which makes it remain at an optimum temperature which does not make it uncomfortable while gaming. Most of the setbacks faced by the other laptops are nowhere to be found on this one, although I wish the battery could be great making it a perfect gaming laptop choice in the given price range. This VR ready laptop here is powered with the NVIDIA Geforce GTX 1060 GPU which is almost similar to the previous one but this laptop is much lighter and thinner with a 14″ display. This would be a really nice laptop for someone who would want to use their laptop both for gaming and work. The laptop is light and weighs around 3.75 pounds which is amazing for a laptop with this kind of GPU power. The new Pascal Architecture Graphics card has lower power consumption and works much efficiently than the Maxwell Architecture graphics card. This keeps the heat dissipation from the hardware in check. MSI laptops have a really good cooling system and it works much efficiently when it comes to keeping the laptop at an optimum temperature so that the user doesn’t experience any sort of discomfort. With the Cooling technology adapted in this laptop, I do not think that there would be any major overheating issues. The battery life on this laptop is average and that is something which none of the VR laptops have shown any major improvements for a while now. Most of the VR ready laptops have an average battery life except for a few high-end laptops. This is another VR ready laptop by Asus and to be honest, I really admire the design of this laptop. Getting straight into the specifications, this laptop has the NVIDIA GeForce GTX 1070 which is way better than the NVIDIA GeForce GTX 1060. With this GPU you can run a 4K resolution screen and enjoy gameplay on high settings. The laptop has some amazing specs but one thing that you might want to notice is the weight of the laptop. It is relatively heavy, however, it does have some amazing display and audio quality and that is something worth having a look at. The overheating issue for this laptop is not a major setback but again the battery life here is just average. A tip on saving battery life – DO not play games on high settings all the time and try going with for average settings because of more load, more is the battery consumption. The laptop has gone a step further with the powerful GPU and this beauty is worth a try. 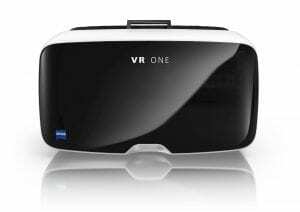 When it comes to VR , it can easily handle any graphics hungry game thrown at it with smooth gameplay because of the G- Sync features added to it. Another MSI laptop making it to the list, huh? This laptop here is again powered by the NVIDIA GeForce GTX 1070 which is another level to the GTX 1060. 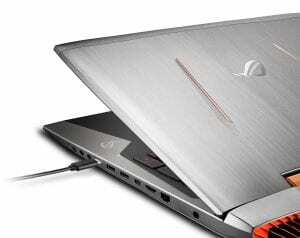 The laptop is fairly priced for the features for the specifications it has to offer. The Dominator Pro comes with the G-sync feature which is a savior for the input lag and tearing issues that happen during gameplay due to change in the frame rate. In order to make the gameplay better, it is important to have a really good GPU and this is a major selling point for the Dominator Pro. With great audio quality and ample amount of storage options and combinations, this laptop seems like one of the best VR ready gaming laptops that you can get in the given price range(above $1500). If you liked this post then hit on your favorite share buttons and in the case you have any comments or questions then leave them in the comment section below. Great review on those vr ready laptops. Glad i found your post because Im looking for a good gaming rig for a xmas present. Ill bookmark your website to check it out on regular basis to see your future reviews. Tip to prevent your laptop to overheat buy a ventilated laptop suport/base can do wonders. Yean ventilators are great, or even those cooling pads can help as a temporary fix. Even though you said these gaming laptops are affordable, they are still out of my buying range. Maybe I should look for “ordinary” laptops that support VR headset. Do you have any recommendations? I think my buying price range is around $800. Yeah, I know. It will be a “basic” gaming laptop. Your thought on this? They are affordable when it comes to VR ready laptops. However, your range is pretty good for a gaming laptop as well, just that it would be an entry level gaming laptop. There is another list for that which is the top 7 laptops under $1000. Hi and thanks for bringing this information together in an easy to understand format. I have been to the local department stores to try and get help choosing a gaming laptop. No success. The staff were minimally trained and weren’t even gamers themselves so had no idea what was important or relavent. I’m glad that this post helped you. Among all the gaming headphones, I use the Logitech one and I find them the best. Hope this helps. Gear is very important to gamers like us. 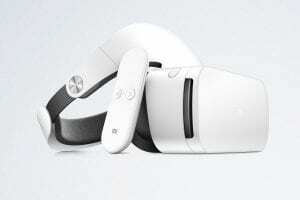 I never thought of them being virtual reality ready though, interesting thought. I always thought virtual reality came from the headsets. Thank you for your reviews, I might use your site to help me when I decide on what laptop to buy.